The Koreasat 5A and 7 telecommunication satellites, orbited in 2017, featured the largest 3D-printed spacecraft parts ever manufactured in Europe at the time. 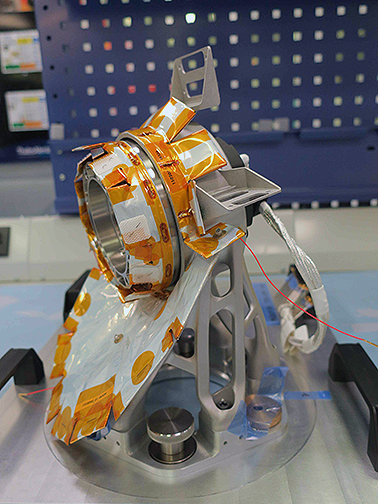 Today, Thales Alenia Space is taking 3D printing into series production to make components for telecom satellites built on the company’s new all-electric Spacebus Neo platform. 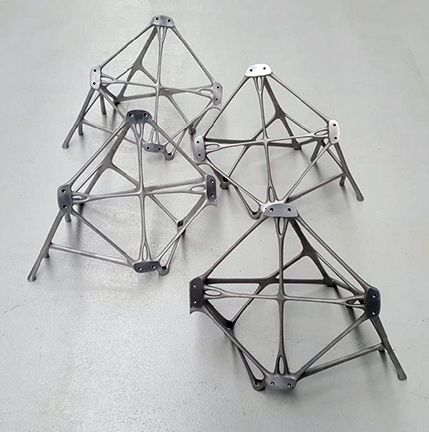 Spacebus Neo will feature four reaction wheel brackets made of aluminum and 16 antenna deployment and pointing mechanism (ADPM) brackets: four in aluminum and 12 in titanium. The innovative 3D-printed reaction wheel bracket is designed to meet market demand for lower costs, now reduced by about 10 percent, and shorter lead times, with production schedules cut by one to two months. The new part is also 30 percent lighter and offers improved performance.